UC Browser for PC is a fast, Chromium based web browser with IE compatibility. Users can enjoy the speed as well as UC unique user-friendly features: Fast Downloads, Enjoy high speed downloads with an option to resume when interrupted. 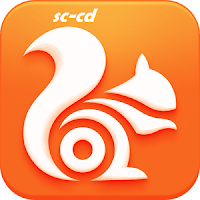 UC Browser's smart file manager also keeps your files organized. Smooth Browsing, Lets you load photos and links beforehand so you can open them quickly later on for non-stop browsing. Cloud Sync, Sync your open tabs, bookmarks, extensions, themes, speed dial sites so you can seamlessly switch between UC Browser on mobile and PC. Fun & Easy to Use, Loaded with customizable speed dial, themes and add-ons, plus unique and user-friendly features like ad blocker and mouse gesture support to make your browsing easier and fun.